It is an absolutely beautiful day out today and Father and I sat out on the back patio for the first time in weeks enjoying the sunshine and chatting for a while. The time has come to write up a list of flowers, veggies and herbs we want to plant and head out to the nursery and OSH for a new patio umbrella. I finished the taxes. We don't owe anything fortunately, except for our estimated taxes. We are actually getting a tiny bit back which can use for garden supplies. I love this weather and sitting out on the patio in the early morning, writing and listening to the birds chirp and chatter. Writing wise I'm plugging away slow and steady everyday on Red Thief. I'm writing between two to four pages a day. There are some days I feel like I should be doing more by editing a previous story or doing research, multitasking on more than one story but I don't want to jink not finishing the story. I'd get involved in research and run out of time to write. Or have the characters from different stories all vying in my head for attention. Good way to drive yourself crazy. My goal is simple - to write everyday until I finish the first draft. 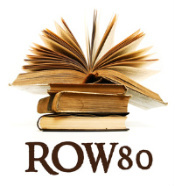 Check out how everyone else from ROW80 is done here and cheer them on to meeting their goals. I actually relaxed a bit and read this past week. I finished reading "Harvest Moon" (virgin river series) by Robyn Carr and "Almost Home" (Chesapeake diaries series) by Mariah Stewart. I'll be reviewing "Almost Home" for TLC Book tours next month. I kind of jumped ahead and read it because I lurv Stewart's stories. My next read is "The Silver Eagle" by Ben Kane which is book 2 in his historical Forgotten Legion Series. Book 3 "The Road to Rome" was released in the U.S. on March 29th and when I finish both, I'll be reviewing along with a giveaway. My goal is to finish the two books within the next couple weeks. My treadmill nook book is "A Man Called Outlaw" by K.M. Weiland. On par with Louis L'amour if you like westerns. So good, I'm spending longer on the treadmill, getting involved in the story. I'm reading a few non fiction books. Finally learned how to multitask with my reading. I'm still on week 8 of "The Artist's Way: A spiritual path to higher creativity" by Julia Cameron. Still writing those morning pages everyday. Came across a great post on Procrastinating Writers: Morning Pages Experiment, One Year later. Check it out. On chapter two of "A Thomas Jefferson Education" and taking copious notes. I'll be sharing what I'm learning soon. Just taking it all in right now. And finally got back into the U.S. Presidents reading project and started "The Real George Washington." This month is National Poetry Month and I've been highlighting poets and poetry over on Read 52 Books in 52 Weeks. This week N is for Nature since a big theme in poetry is nature. I even included a poem and a Haiku I wrote, with a challenge to participants to spread their creative wings a bit and attempt to write one themselves. Come join in the fun. The tour of Angelology is over and the winner of the giveaway is "Ashley Holt" of Bookcase Siren. Congratulations, Ashley. Books are the carriers of civilization. Without books, history is silent, literature dumb, science crippled, thought and speculation at a standstill. They are the engines of change, windows on the world, (as a poet said) lighthouses erected in the sea of time. They are companions, teachers, magicians, bankers of the treasures of the mind. Books are humanity in print. You're doing a great job! Wish I could say the same for myself. Slight personal crisis going on this month so may have to play it by ear until May. I tried that morning pages thing from Procrastinating Writers - it's wonderful! Unfortunately, my kids often wake me up by piling on the bed. That kinda ruins the mood for writing- oh well! I don't know if you do the passing-on-award thing, but I have an award for you at my blog if you are interested. We finally finished our taxes too. Because we're both self-employed it can be complicated. How nice that you spent time on the porch, we are still a tiny bit too chilly for that, but I'm already looking forward to setting up the deck, buying annuals for potting up, and the start of the farmers market. It sounds like you're doing great! Keep up the good work. Isn't it great getting to sit outside? Your doing so many writing things!! I love it! It was 83 here in Michigan yesterday and so I spent a lot of time outside with the dogs and my book!! I'm excited to get a small garden in order this summer too!! Have a wonderful week Robin! @Michelle - Hope everything works out for you soon. @Margo - You are awesome. Thanks! @Beth - Gardening is in the air! @Laura - Love sitting outside. Rejuvenates me. @Staci - Lovely weather. My son is campaigning for a dog. Happy reading and gardening! Ah, taxes...yes, the angst of it all. I moaned and groaned about it before visiting the tax lady, as I suspected (and I was right) that I would owe more. Not as much as last year, though, and next year should be better, as I am sending more each month through the year. 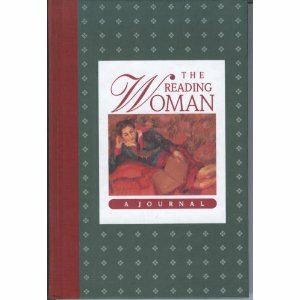 I think it's important to read a lot, too, and The Reading Woman looks really good. Love the Henry David Thoreau quote at the top of your blog. I used to have a mug with that quote. Wonder what happened to it? @Laurel - Mailed them off today. Yeah. Would be nice if we could get a tax deduction for reading. Hmm!